Vitamin D has long been known for its important role in regulating the body's levels of calcium and phosphorus as well as increasing mineralization in the bones. 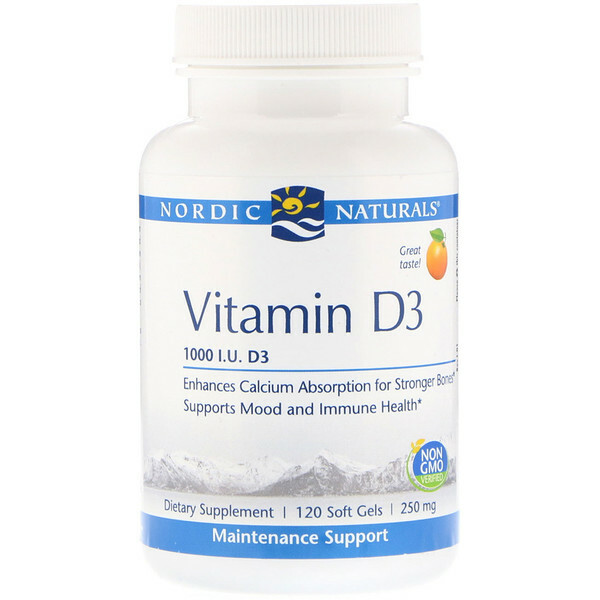 Nordic Naturals Vitamin D3 is cholecalciferol, the natural, most easily absorbed and utilized form of Vitamin D. *Each serving provides 1000 I.U. of Vitamin D3 in extra virgin olive oil-with oleic acid, a "heart-healthy" monounsaturated fatty acid. 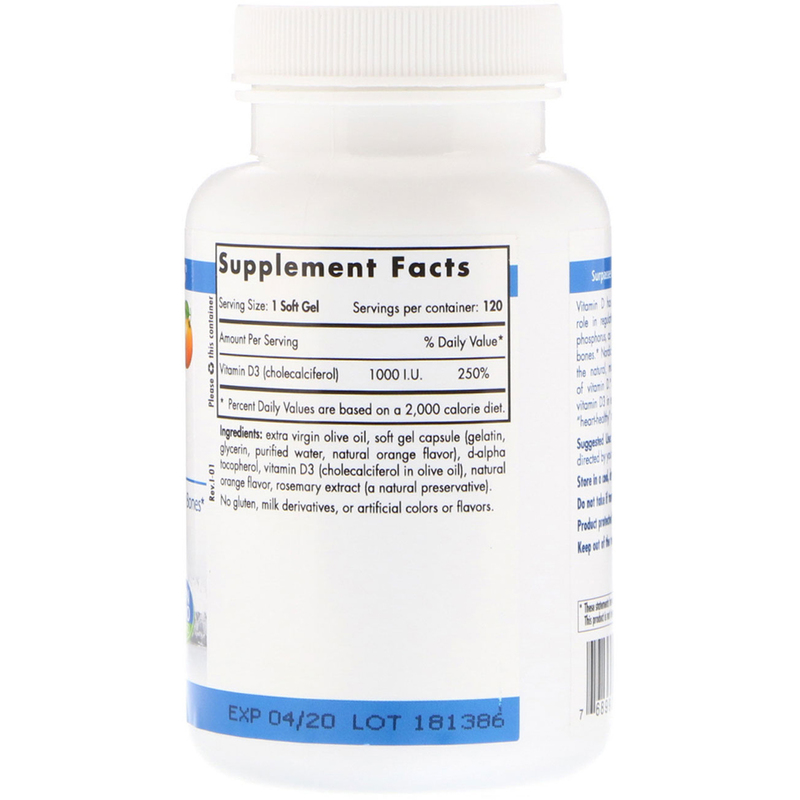 Extra virgin olive oil, soft gel capsule [gelatin, glycerin, purified water, natural orange flavor], d-alpha tocopherol, vitamin D3 [cholecalciferol in olive oil], natural orange flavor, rosemary extract [a natural preservative].